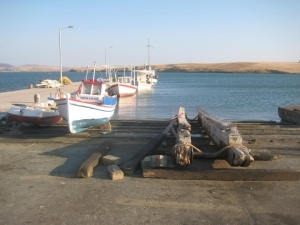 Your journey to and from Limnos by sea can take from 2 to 20 hours depending on the port you that you depart, as well as in how many islands it will stop. These are the routes for the moment, but it is wiser to ask agents about any possible changes that may occur. During the summer months, Limnos is connected by airplanes with Thessaloniki, with Mytilene, with Heraklion, with Chios, with Samos, with Rhodes as well as with Ikaria through the company Sky Express. In addition, there are routes to and from Athens with Olympic Air.